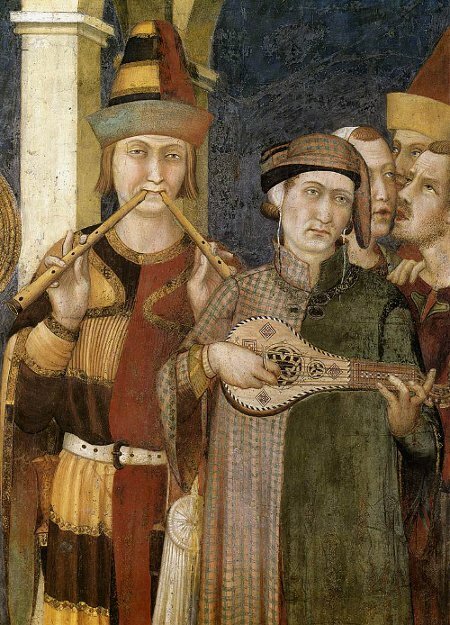 This painting by Simone Martini (1312), shows a musician playing two recorders together, giving a possibility of simultaneously playing a tune and a drone or simple accompaniment. 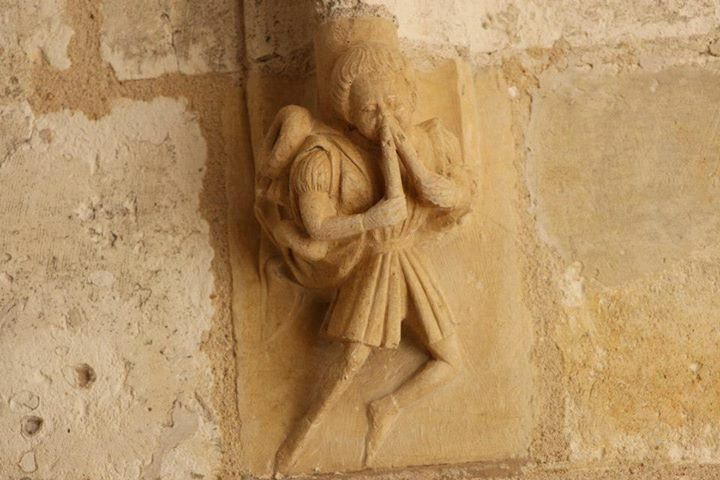 The tune and accompaniment can even be passed from one pipe to the other. 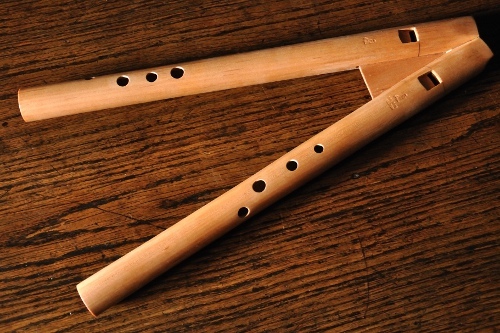 Joining the two together makes them easier to play since they form a single rigid instrument. 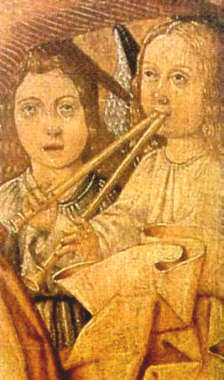 Soprano (descant) double recorder in c.
Each pipe has 5 holes, (including the thumb) giving a total chromatic range of over an octave, with notes from c to a on the right hand (low) pipe, and from f to d on the left hand (high) pipe, as well as some extra high notes from f2 to a2. Pitch: 440, 460, 466 or 523 Hz. An alto in g will follow.. Your browser does not suport the audio element.